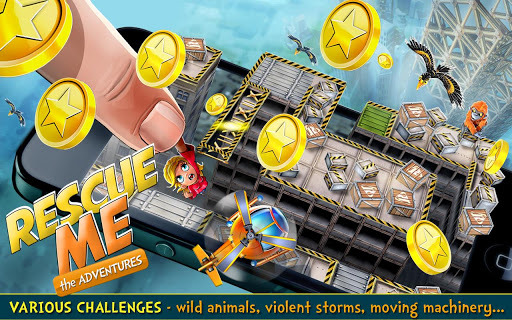 - Casual action - innovative puzzle game with drag-and-drop controls and cute cartoon graphics. - Many challenges - save cute little people from hazardous situations, like fires, predators, wild storms... before time runs out! - Be quick - avoid several moving obstacles, from migrating birds to rotating cranes. - Collect coins - and purchase cool powerups! slow down time or get a better grip on people! 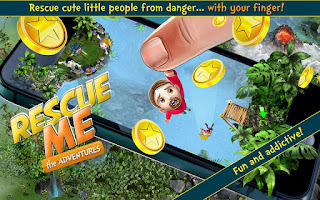 - Share your success - Rescue Me is integrated to Facebook! Challenge your friends and share your achievements with them!